If you like to sing, ring, or play an instrument the music ministry has a place for you! Come join us in fellowship as we bring the scriptures alive through music. Chancel Choir participates in the 9:30 a.m. Sunday worship service singing in a variety of styles including classical, jazz, spirituals, and contemporary. Rehearsals are Wednesdays September through May from 7:30-9:00 p.m. The choir is open to adults without audition. In addition to Sunday services, the choir participates in the annual Community Ecumenical Thanksgiving Service and hosts the 3rd Saturday community meal in December. Contact Becky Adams for more information. BELLisimo (bell choir) plays for the 9:30 a.m. Sunday worship service. Rehearsals are Wednesdays September through May from 6:15-7:15 p.m. 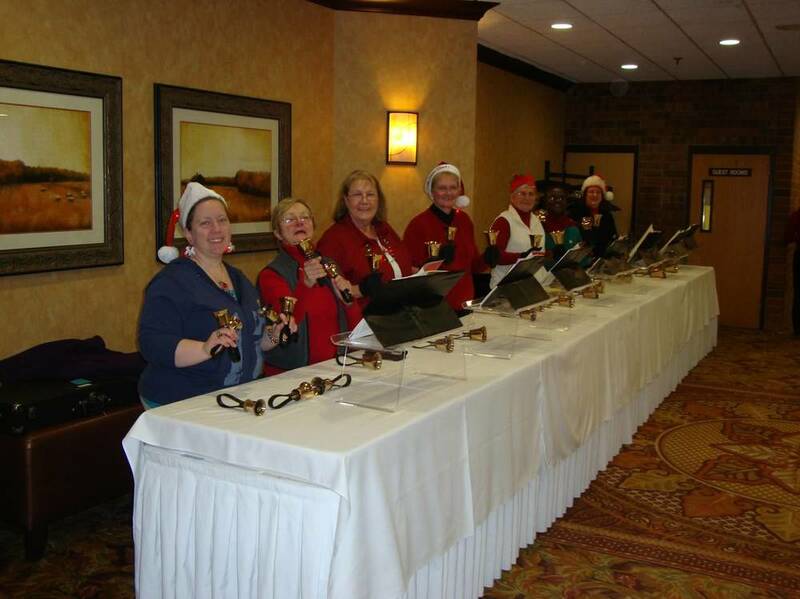 Although the bell choir is open to adults without audition it is helpful to have some music experience. BELLisimo participates in the annual Santa for Seniors community event. Contact Becky Adams for more information. Instrumentalists are abundant in our congregation and even though there is no formal ensemble at this time we are able to incorporate brass, woodwinds, percussion and string players throughout the year in worship as soloists, or as part of a small ensemble. Contact Becky Adams or Tess Kasling for more information.